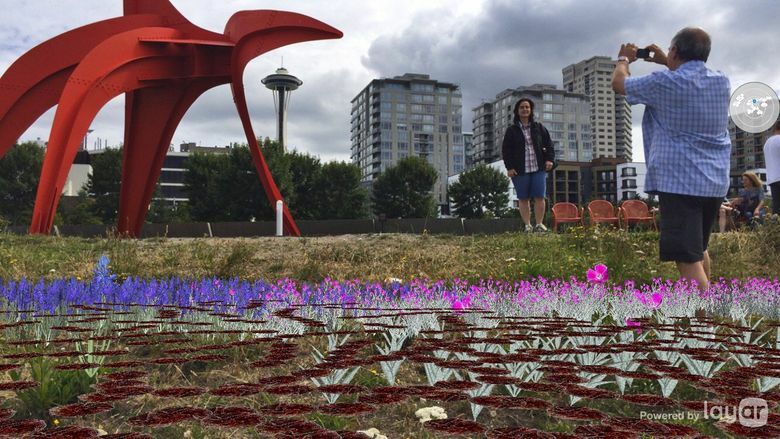 ‘Gardens of the Anthropocene’: Artist Tamiko Thiel, with help from University of Washington scientists, wrangles with climate change and plant species through augmented-reality art. The glaciers are melting. Sea levels are rising. Seattle’s summer of 2016 is breaking heat-wave records. 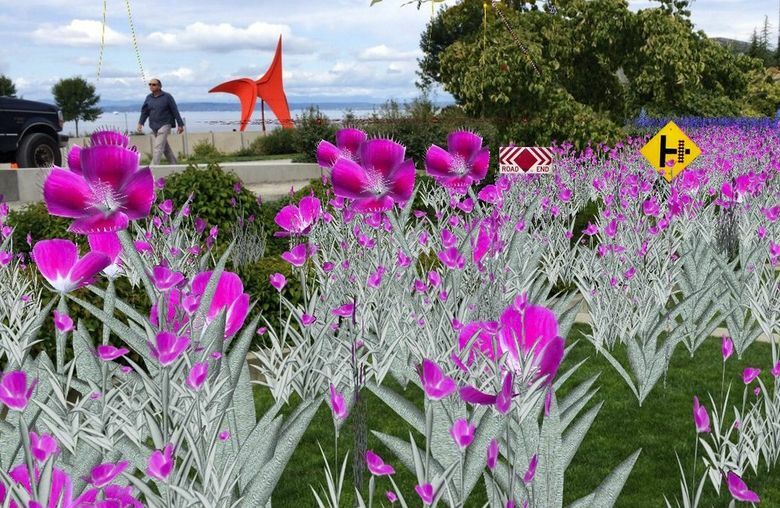 Which makes it a grimly perfect time to head to the Olympic Sculpture Park and check out Tamiko Thiel’s interactive, augmented-reality art project “Gardens of the Anthropocene,” designed with help from University of Washington scientists. Looking at the artwork is fairly simple, if you have a smartphone. 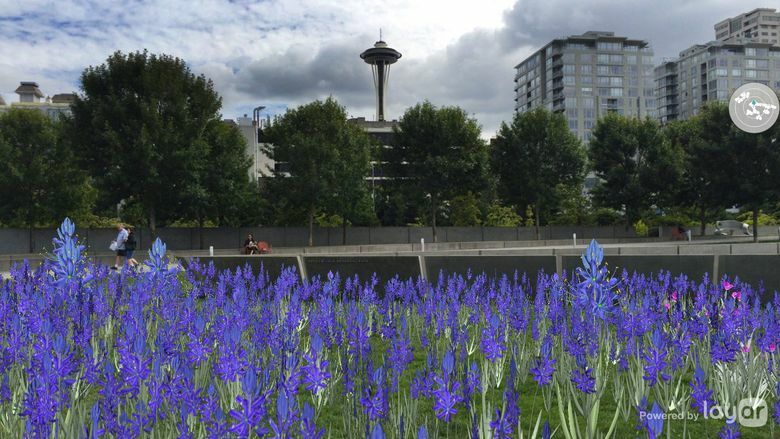 Go to the sculpture park, find one of the installation’s kiosks, download the Layar app, hold the screen in front of your face and see the park transformed, with alien flowers below and blades of bullwhip kelp helicoptering overhead — Thiel’s impressionistic vision of how the park’s landscape might look in the wake of climate change. 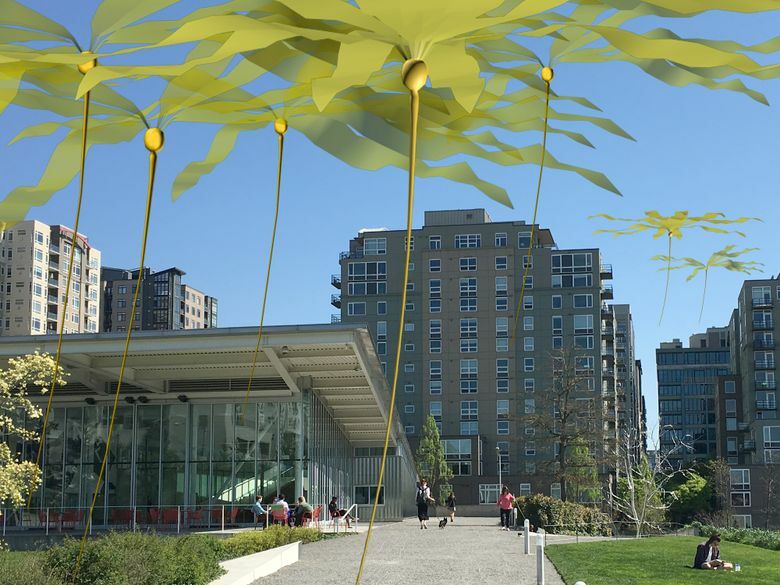 6 a.m.-8 p.m. through Sept. 30 at Seattle Art Museum’s Olympic Sculpture Park, 2901 Western Ave., Seattle; free (206-441-4261 or seattleartmuseum.org, with guided tours noon and 1 p.m. Sat-Sun). “Gardens” is immersive, in a “Pokémon Go” way: Turn one direction and you can see a hillside with a strange new crop of plants and algae. Turn another direction and street signs bob in your phone, as if floating in the water. The project is playful, but its themes are dire. Etymologically, the word “Anthropocene” comes from “anthropo-” (“human being,” as in “anthropology”) and “-cene” (a unit of geologic time, as in “Pleistocene” or “Holocene”). Many biologists and geologists began using the term decades ago as a way to mark the moment when human activity — agriculture, industrial-era warfare, burning massive amounts of fossil fuels — began to fundamentally alter the planet, from coral reefs to ocean temperatures to melting glaciers. “Gardens” is a rumination on those actions and their unintended consequences. Thiel was born in Seattle, graduated from the Massachusetts Institute of Technology and now works out of Munich, Germany. In the mid-’90s, she collaborated with Steven Spielberg on Starbright World, a virtual 3D world that allowed seriously ill kids who couldn’t leave their hospital beds to hang out with each other in cyberspace. The technology she developed is still being used in virtual-reality worlds like Second Life. She specializes in augmented-reality (AR) artwork that’s grim and lively at the same time. Her 2000 work “Beyond Manzanar” allowed viewers to navigate the infamous Japanese internment camp with a screen and a joystick. In one segment, newspaper headlines and signs dance above the camp reading “Jap Hunting Licenses Issued Here.” In another, ghostly-looking figures smile at you from inside the barracks. For “Gardens,” Thiel worked with UW scientists like Joshua Lawler, associate professor in the School of Forest Resources, who studies how plants and animals are responding to climate change by either dying off or finding new habitats. Based on his models, for example, wolverine populations in Washington will decrease because they depend on the state’s ever-shrinking snowpack to build dens. Some species of birds and butterflies, he says, will either move north or go extinct. Those species, with tight relationships to other imperiled species, are especially at risk. Thiel’s project brims with tensions and ironies. 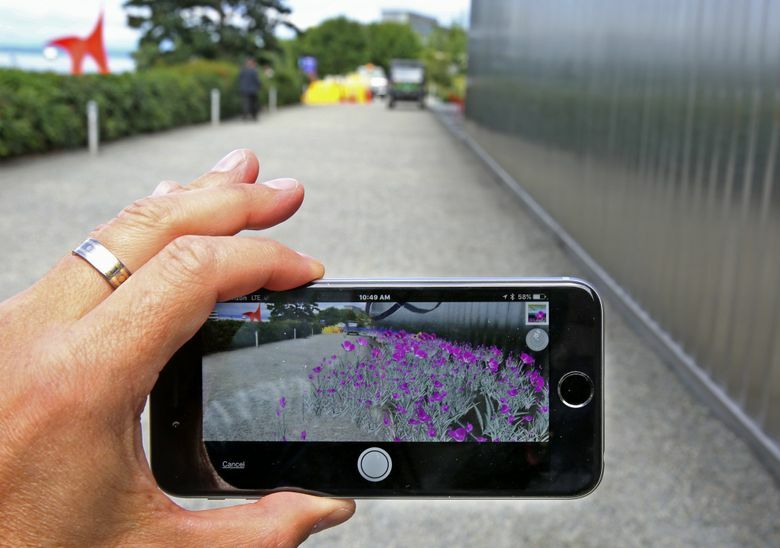 Even seeing “Gardens” requires smartphones which, the journal “Nature” recently reported, “produce growing global flows of electronic waste that concentrate their toxic by-products” in poor towns like Guiyu, in China, where old electronics have poisoned the drinking water. But, both Lawler and Thiel stressed, smartphone technologies aren’t going away, so artists and scientists might as well use them as tools. Thiel said she recently taught a class in New York for Puerto Rican artists focused on Spanish Harlem and East Harlem who were intensely interested in AR technology for projects like restoring graffiti murals that have been stripped away by development. The new popularity of immersive theater, AR art and games like “Pokémon Go,” she argued, has given us a commons of the imagination again. “You can see why people want these fantasy worlds,” she said.